Encore un billet anglais sur les eggcorns, ces réanalyses sémantiques et étymologiques aboutissant à des graphies non généralement accepté, des paronymes clandestins pour ainsi dire. This is a followup to my previous post on eggcorns, ie not universally accepted variant spellings created by an individual by way of a process similar to folk etymology (“étymologie populaire” voir ici). Here is a new one: peace core. 3,360 gHits, a few of which are puns or refer to at least one bible study group and one punk rock band, respectively. The original, peace corps, scores 1,230,000, from which we calculate ratio of 36.6. 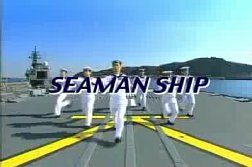 This example is taken from an online commentary on a recruitment ad for the Japanese Maritime Self-Defense Forces (JMSDF) and was written by someone who is probably not a native speaker, but the process should be independent of that. Here, just like in many of the legit (ie native-speaker produced) instances on google, we find the idea of centrality: a central task of an army (or, alternatively, a possible task for a central part of an army) ought to be peacekeeping work. 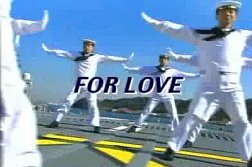 Blogger Joi Ito comments, “It’s a bit embarrassing as a Japanese, but I guess it makes us look less threatening.” A hat tip to Dave, who pointed me to the link and translates the text as “you love Japan, you love peace: join the navy”. But back to eggcorn formation. I have been wondering how to distinguish genuine eggcorns from accidental misspellings of one of those pesky sounds of English that come in a variety of spellings. Sometimes, it might not be clear whether the coinage was triggered by a semantic ingredient or motivation. Let’s take the sound [eə] (or [eɚ] for rhotic varieties, like most of American English). It is spelled “air” in air or pair, “ear” in bear or pear, “are” in bare, just to cite the most common spellings. bear hug vs bair hug vs bare hug: 84,000 vs 2 (the rest refer to a trade mark) vs 207; ratios 42,000 (large error included) and 406.
pair[-]shaped vs pair[-]shaped vs pare[-]shaped: 269,000 vs 1,300 vs 70; ratios 207 and 3840. Even if many of the occurences of bare hugs and pair shaped (and their variants) might by no means be the product of a conscious mental process, there is a clear “eggcorn factor” — the more it makes sense, the likelier is a misspelling — in those numbers. (Note that its being a conscious construction is not even a necessary condition for an eggcorn.) Personally, I am inclined to count particularly heartfelt bare hugs and some of the occurrences of pair-shaped as eggcorns. These “pair-shaped pink sapphire earrings” do come in pairs, after all. In misspellings of loan words, a force of attraction towards spellings of analogous English terms can be observed. Thus, au contraire obtains 59,000 gHits, vs 1,200 for au contrair (ratio: 49.2), 1,490 for au contrare (ratio: 39.6) and only one for au contrear. Arguably, contrare is closer to the English word contrary than contrair, even though the latter is closer to the original contraire; either is much more prevalent than contrear. None is an eggcorn. Thanks to dr Dave for his clarification. 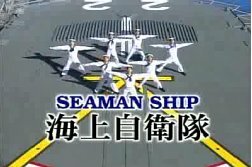 I haven’t edited the entry; “join the MSDF” is, after all, the message of the ad. Shall people read the comments!